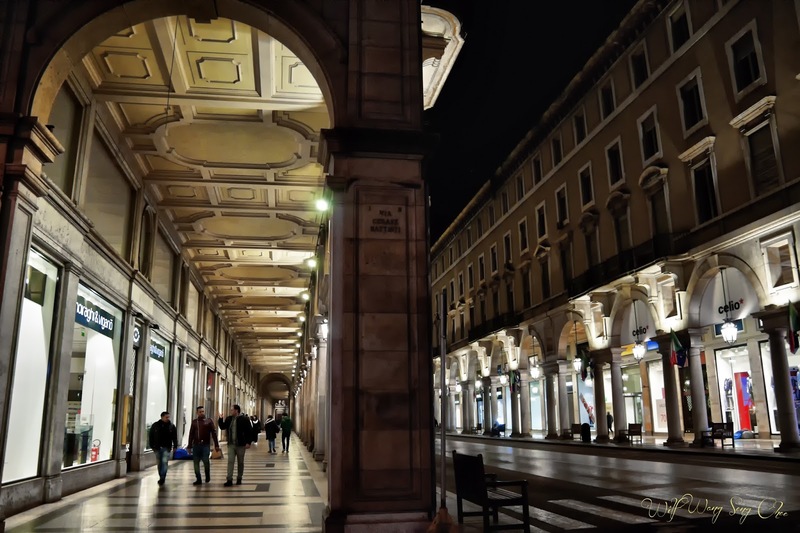 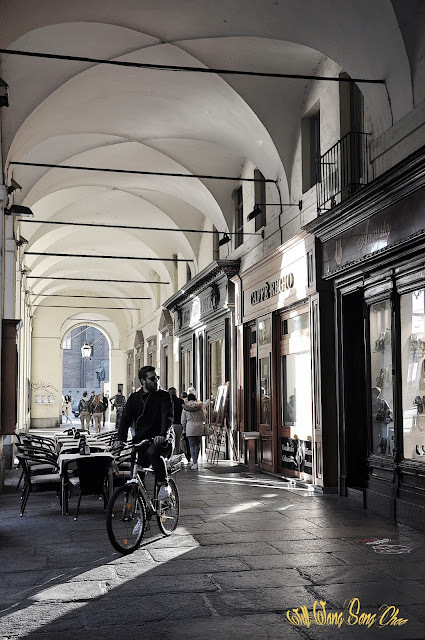 One of the characteristic of Turin is its arcade ( portici ) . 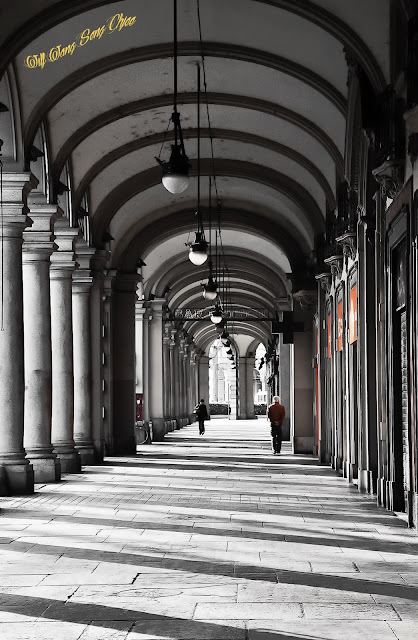 A total of 18 km long, of which 12.5 km is continuous and connected. 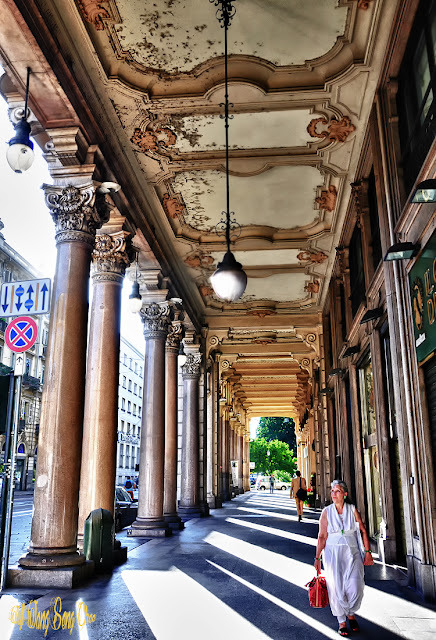 The arcades spread mainly in the town center, some are well maintained and beautifully decorated, other are less glamous and shown sign of aged, but nevertheless equally charming. 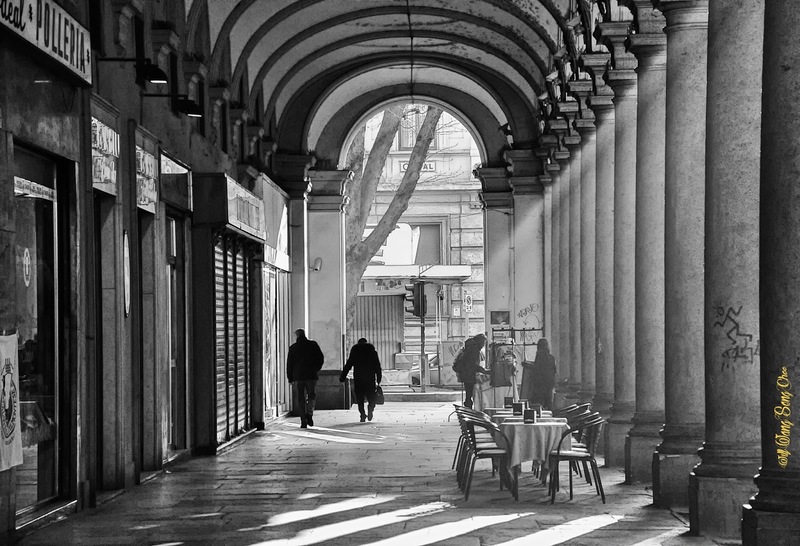 Paved with different styles, such as the gray stone of via Po, the marble of via Roma, the Turin arcades are an all in one expression of urban, architectural, aesthetic and socio-economic. One of the more famous arcade would be the one along via Po, starting from piazza Castello up to piazza Vittorio. In 1720, under the reign of Vittorio Amedeo II of Savoy, there were some alterations to the buildings that led to the addition of the arcades that characterize it, and was named "via Po". 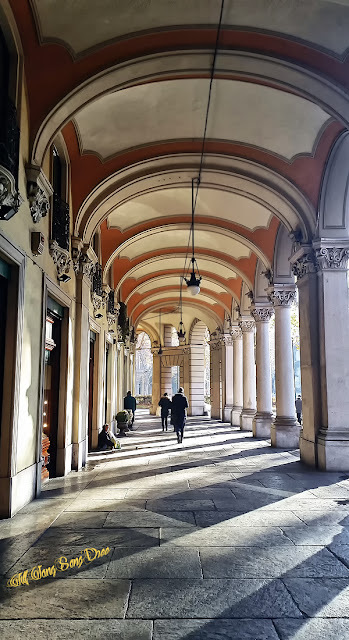 It is fun to take note that the arcade on one side of via Po is covered even for the parts crossing the small street, and the other side of the road isn't. The terraces covering the crossing were built by the king Vittorio Emanuele I of Savoy, it was meant for his walk and for the sake of not getting wet in case it rains. 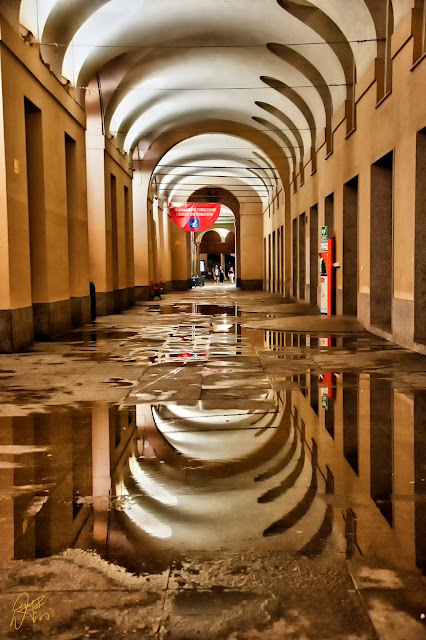 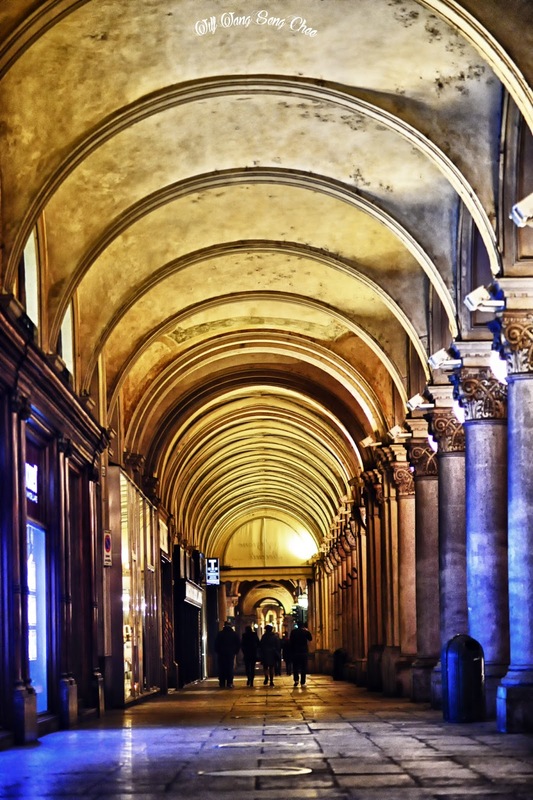 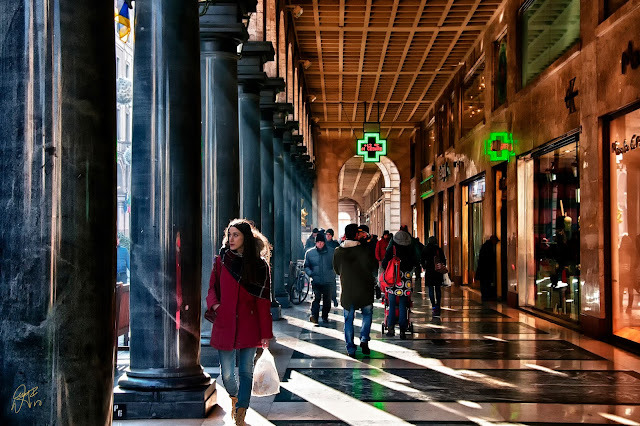 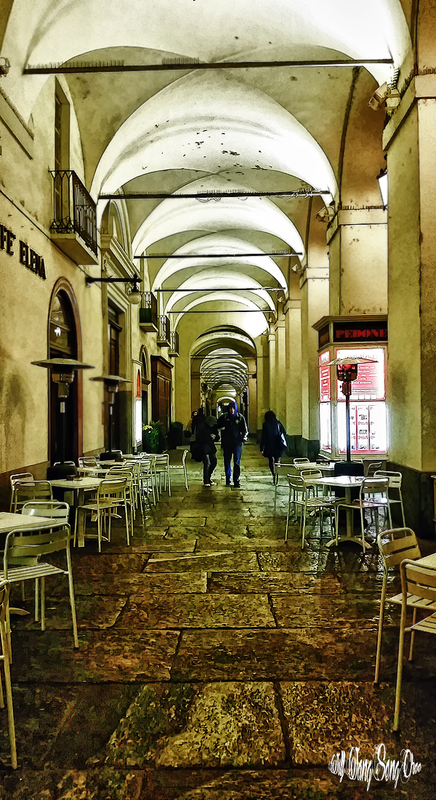 Travellers who visit Turin, should take some time to explore these arcades! 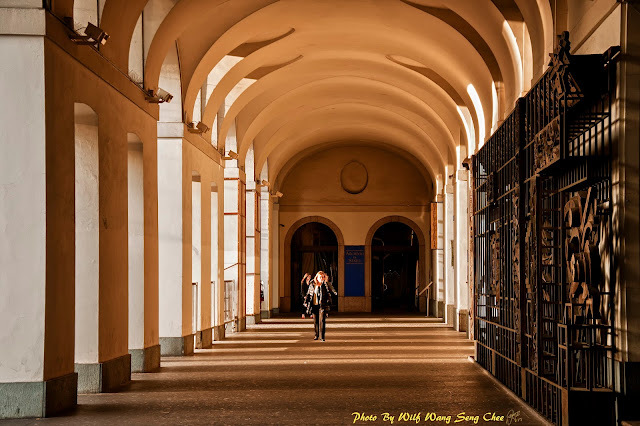 其中一个着名的是沿着波街，从城堡广场( Piazza Castello) 到维托里奥广场( Piazza Vittorio )的拱廊。在1720年，在萨沃伊的Vittorio Amedeo 二世统治下，那一带有一些建筑被下令更改，导致添加的拱廊，成为了这条街的特点，并被命名为“波街”。有趣的是，波街的一侧穿过小街道的部分的拱廊是有覆盖的，而道路的另一侧却没有。这些提供覆盖的露台是由萨沃伊国王维托里奥·埃马努埃莱一世建造的，目的是为了他散步时，在下雨的情况下不会被淋湿。今天，散步不是唯一的活动，点缀着迷人的商店，酒吧和餐馆，人们可以在都灵的拱廊下购物，吃喝玩乐，并与朋友和家人度过美好的时光.